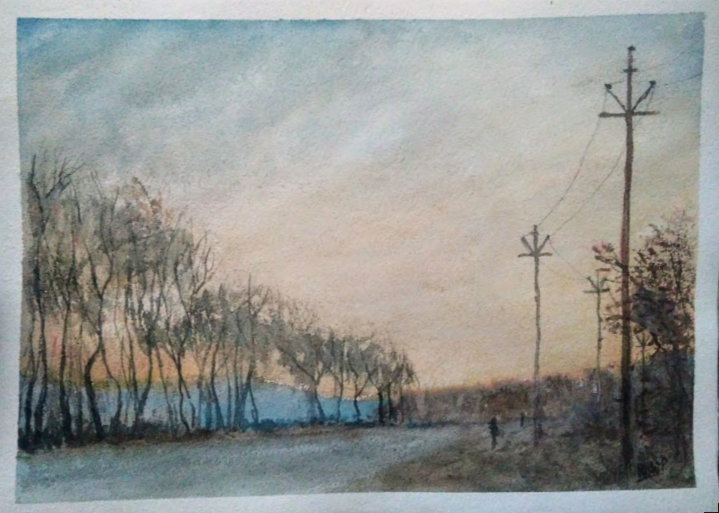 Watercolour on paper - Evening scene at Nande. Acrylic on Canvas board - Grazing cows in the sun. A scene from Gloucestershire. Time of the day is late afternoon. Watercolour on paper - Sheep in the meadow. A scene from Pembrokeshire Wales. Time of the day is early afternoon. Watercolour on paper - Old barn - late evening. A valley scene from the beautiful Pembrokeshire in Wales. Time of the day is late evening. Watercolour on paper - Wotton hill forrest road. Time of the day is late afternoon.